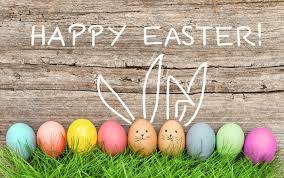 Dietitian Cape Town Southern Suburbs | Catherine Day > Blog > Chill out – it’s just Easter! Easter time is a time where we get to chill out a little. For most it is the first time we get a little down time after the beginning of the year madness. As we tend to be a little more relaxed… things can get out of hand.. Here are my top three tips to help you through the chocolate mine-field and the too big plates of food. Chill out – it’s just Easter happens every year! Easter should rather be a time where we CHILL hard and focus on getting some rest after a hectic 3 months of non-stop madness. It is also a time where we should be focused on spending some quality time with the family. Going for walks, going on that hike you always wanted to do and yes enjoying meals together BUT this doesn’t have to be over the top just because it is Easter. There are other holidays and even days (birthdays) where we may “celebrate” with chocolate. Chocolate doesn’t only come out or exist over Easter time. My advice – pick your favourite Easter treat – enjoy it – savour it and move on. Don’t fret and just focus on what Easter is really about (especially if it is a religious holiday for you). Chill out – don’t let this time of the year cause unnecessary anxiety around food. For some who have lost weight in the first 3 months – Holidays can be very difficult as it comes along with MANY temptations. Don’t let Easter time BREAK you. BE STRONG by remembering how well you have done and how hard you have worked and then chill out a little. My advice – plan ahead. Pick your favourite treat be it a chocolate or a bigger plate of food- enjoy it – savour it – and most importantly move on. Getting back to healthy eating and healthy living is what counts most. Don’t allow yourself to get into that rut of negative thinking. The worst thing you can do at any point is throw in the towel. If you messed up – acknowledge it and move on. Food is meant to be a joyous part of life. 3. Chill out – don’t overdo it by having unrealistic expectations and too many unbalanced meals. Planning your meals makes all the difference. If you are hosting family at home – have healthy options available and the usual maybe less healthy favourites. This allows you to have some of the less healthy favourites but in small portions (sometimes just a taste is all you need) as well as bulking up your plate with plenty of vegetables and salads (hold the dressing to the side). This makes it easier to achieve balance over the Easter period and allows you to balance your meals. Remember food feeds the body and not the emotional side of us. Family, love and support feeds the emotional side of you. So load up on that! Then plan ahead when it comes to your weight loss goals. If you have unrealistic expectations of yourself then when those expectations are not met – it leaves you feeling CRUSHED. This starts the negative thinking and self-talk (something like, oh dear I stuffed it up, oh well, may as well continue and I will address it after Easter). The subconscious guilt that this way of thinking instills in one is eventually what will break you. So positive thoughts. Be kind to yourself. Love yourself. So maybe, over Easter, the best you can expect from yourself is weight maintenance. Just chill a little. Just a thought. 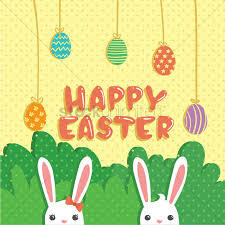 Have a wonderful and happy Easter!